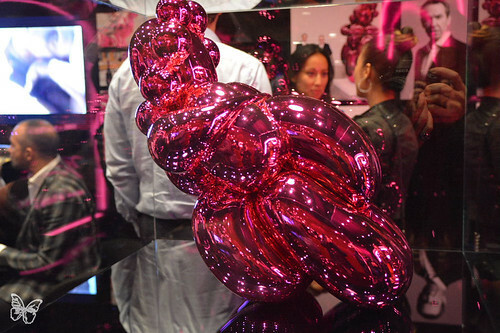 Earlier this year Jeff Koons x Dom Pérignon partnered to create the Balloon Venus Sculpture Package. During Frieze art week in London the Balloon Venus package was unveiled together with the launch of two special “Dom Pérignon by Jeff Koons” boxes, designed by Jeff Koons himself. 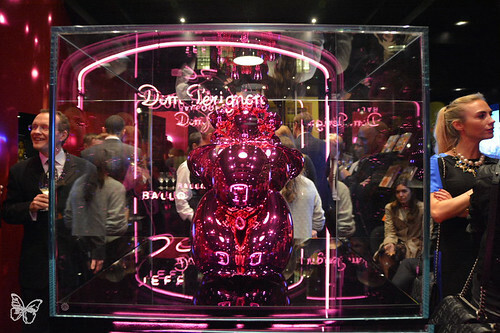 The Balloon Venus sculpture package is made to order for £15,500 along with the Dom Pérignon Vintage Rosé. Alternatively you can also opt for the special Koons boxes of Dom Pérignon Blanc de Blancs (£130) and Rosé (£315) sold online here. This entry was posted in London, Shows, Videos and tagged Balloon Venus, Dom Perignon, Jeff Koons, London. Bookmark the permalink.